Avalon Tent provided a set of tents to keep athletes, observers, and media professionals comfortable and cool during a summer training camp. 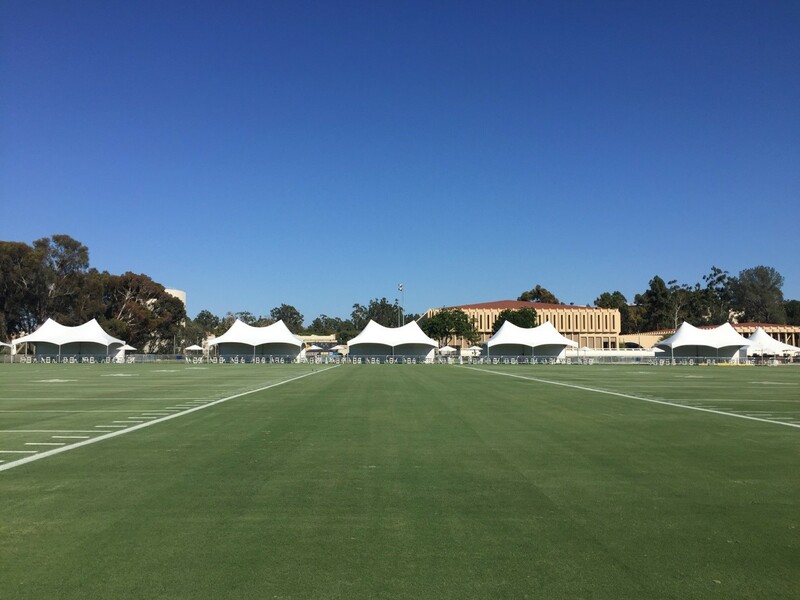 Avalon Tent created an athletic training camp for a major NFL football team. The training camp was held at a prominent state university over the summer. 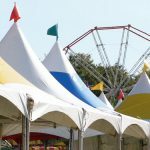 The team needed an extensive array of tents to support athletes, staff and spectators. After meeting with the team personnel, Avalon Tent submitted a bid and were awarded. For this project, the football team needed a set of relatively small, open tents that would serve a variety of different purposes. 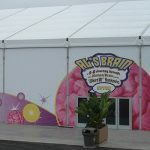 They needed tents not only to keep the athletes cool, but also to provide a place for spectators as well as friends and family of the team. They also needed details that would help personalize the structures. At the camp, Avalon Tent provided many 20 x 40 summit tenting structures. 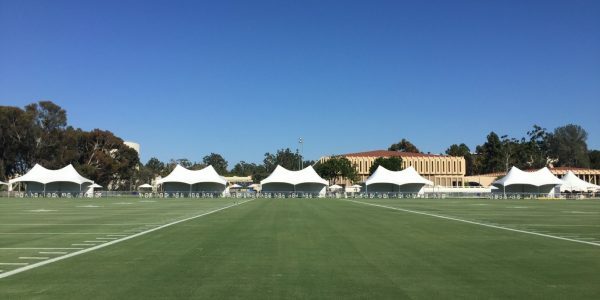 These were used for a variety of purposes, including a VIP booth, an autograph tent for fans, a media compound and a team workout area for the athletes to use. The structures were completed with custom flags and table covers, which were created to match the team’s colors.